Cooking Circles is a visual recipe mat that allows young chefs and novice bakers to easily and quickly make their favorite dishes with their friends. Instead of hunting for specialized measuring tools to measure out ingredients, users just make circular piles on the recipe mat then mix them in a bowl. 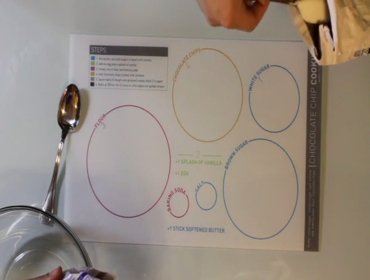 Cooking Circles is comprised of a reusable plastic sheet with different sized color-coded circles on it corresponding to the proportions of each ingredient. By reducing the complexity and precision of traditional recipes, Cooking Circles aim to make cooking more accessible and sharable with nearly everyone.